New Delhi: Winners of the Manthan Award, South Asia, which seeks to encourage start-ups using information and communication technology (ICT) for social development, were announced on Friday. This year, the competition received 510 nominations from India and neighbours such as Afghanistan, Nepal, Bangladesh and Sri Lanka. Of these, 110 projects were selected to compete in categories such as governance, health, education and learning, inclusion, infrastructure, travel and tourism, environment, community broadcasting, entertainment, agriculture and livelihood, localization, news and media, science and business and enterprise. Mint is the strategic partner of the award. Successful projects ranged from television stations educating students in war zones to websites aiding rural entrepreneurs gain access to funds, applications that help farmers get crucial and timely information to initiatives that encourage men to end domestic violence. Rang De is a web-based microcredit platform that helps rural entrepreneurs from low income households gain access to funds. Investors are typically individuals or companies that put up a minimum of ₹ 100 to start with. Register on RangDe.org and choose borrowers to invest money, which is disbursed via field partners. “We realized that there is a fantastic repayment rate and on the other hand a low interest rate in the microcredit field. We had to bridge the gap and hence, came Rang De," says Ram N.K., founder and chief executive officer. Any social investment is a non-secured loan and repayment time is generally one to two years. The process is transparent as investors can go online and track investments and borrowers. “It is not a charity; the investor will get returns on his investment at 2% flat per annum if the loan is not defaulted. Either you can choose the option of auto invest or confirm a withdrawal," N.K. says. The organization has disbursed ₹ 6 crore to 11,000 borrowers invested by 3,100 individuals and 20 companies. Available in 13 states, the organization has seen fewer than 1% withdrawals. 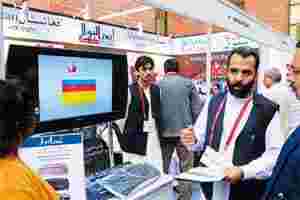 Pashto TV of war-torn Afghanistan broadcasts study material based on the formal curriculum of Kabul schools. The free-to-air channel is available on satellite television and local cable networks. Students who can’t access video broadcasts can just listen to the audio learning series or access it on the Internet. “With the current condition of Kabul, proper schooling is very difficult and uncertain. So we thought let’s bring the school to kids. Hence we started our own free-to-air channel called Pashto TV," says N.R Liwal, president, Liwal Ltd, which runs the channel. “It eliminates the need of a real teacher," Liwal says. “You can complete a whole standard in less than ₹ 1,000 and (there is) also no need of going to a school. Initial investment is about ₹ 20,000 and the per capita cost for teaching kids drastically comes down." The project went live in 2010 after six years of research. The company is now working on lessons in Arabic, and plans to provide material in English, Hindi, Urdu and Farsi too. It is also looking for collaborations with schools and community radio stations in India and other countries. Proverbs are an important part of any dialect, reflecting the cultural mores of a society. But Sri Ninal Padmakumara, who has 30 years of experience in journalism and television and radio anchoring, says many proverbs are dying as the younger generation does not know how to use them. He has come up with a unique method of preserving Sinhalese proverbs in the form of audio stories available on the Internet. “I felt that as people move to urban areas, the usage of these proverbs and idioms is disappearing slowly and the younger generation doesn’t think it is relevant. So, I thought to put them together in the form of small audio stories and use the web to spread the word," Padmakumara says. He has already digitized 1,000 proverbs in this way. “I went to villages; spoke to elderly people; visited libraries and academicians, asked about the origins of the proverbs and validate them with written records and books," Padmakumara adds. The website has been created to familiarize children with the tales. According to Padmakumara, it’s the only one of its kind for Sinhalese proverbs. He is still researching and recording more proverbs to add to his vast collection. Connecting, colleges and companies are the 3 Cs of CoCubes—an online student engagement and campus recruitment platform. Set up by two alumni of the Indian Institute of Technology (IIT), the website helps bridge the gap between companies and colleges in smaller cities and towns. “It is like a cleartrip of recruitment drives where you go online and fill in the criteria and job requirements; it will give options; select the colleges that match your query at the click of a mouse, forward your request to placement co-ordinator at the institution. That is how simple it is," says Anand Subramanian, manager, marketing and communication at CoCubes. Students take an online test set up by the company before they get hired. Companies can even provide offer letters through the website, obviating the need to visit the institute they are hiring from. Instead of charging companies, CoCubes charges colleges for registration. “A college has to pay in lump sum or ₹ 1,000 per head. But we need every student to be registered with us. We are here to provide a level playing field to every candidate," adds Subramanian. CoCubes also provide technological support for campus placements, even at colleges not registered with it. But according to Subramanian, registered users have an advantage. About 2,000 colleges have used this platform to look for jobs for 700,000 students. Around 300 companies have used it for hiring, including Cognizant Technologies, Mphasis, Accenture, Voltas Ltd and iGate Patni. AppRain is a Web developer’s delight, being one of the first few officially released open source content management frameworks. It is an unique engineering concept where the content management system (CMS) and rapid development framework work on the same platform. appRain, a solution for website development, uses the content management framework to reduce the work needed to the job. The biggest problem faced by developers is that they have to redevelop common modules while building a site separately for CMS and the framework. But with this tool, the duplicity of coding can be avoided. “It helps in two critical ways. Firstly, it lets you build a website quickly and secondly, it reduces the development time and cost drastically," says Reazaul Karim, founder of appRain. Users can simply download appRain and start working. It is supported on the Apache HTTP server, the most widely used tool for website development. The best part is that users can customize the output according to niche requirements. “I have released six version of appRain and am also working on other modules. Initially, standardizing the project was a little difficult, and I faced a lot of criticism also. But now I am very proud of the fact that it is recognized in the international market for Web developers," says Karim. The tool is available in 156 countries and is downloaded at least 40 times every day. IFFCO Kisan Sanchar, a joint venture between Indian Farmers Fertiliser Cooperative Ltd (IFFCO) and Bharti Airtel Ltd, provides SIM cards with pre-loaded content to farmers through cooperative societies. Every day, five free voice messages are delivered to subscribers through the SIM card. These messages are of a minute each, and carry useful and timely information on issues such as soil management, crop management, animal husbandry, horticulture, plant protection, market rates and so on. To make the content relevant to local farm practices, the company has divided the 18 states it serves into 60 zones. “The content is created by the India Meteorological Department and state agriculture universities and is curated by subject matter experts," says Gaurav Kumar Rai, executive (content). The subscriber also has the option to call back and listen to the message again. For further assistance, they can call a free round-the-clock helpline set up by the company. “The biggest hurdle was to convince the farmer to use technology which would only help him raise his standard of living. But now, when they see the positive impact and low cost involved, they are adopting it on a happy note," says Rai. 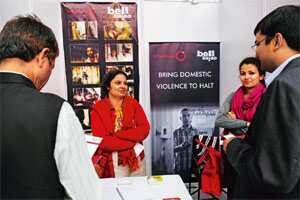 The Bell Bajao, or Ring the Bell campaign, seeks to end domestic violence against women and urge men to intervene on their behalf. Started in 2008 by Breakthrough, an international human rights organization, the initiative has been spreading awareness about women’s rights in Karnataka and Uttar Pradesh. According to Bhattacharya, men can play a positive role, challenge peers who are abusive and violent and act as support for victims. The organization gives training to volunteers under community-based programmes. It also encourages people to share their real life experiences in dealing with domestic violence. “We are integrating our offline and online activities by using various mediums like radio, TV, mobile phones, blogs, community radio services and social media," Bhattacharya adds.